The power of memes shouldn’t be underestimated. For the band Weezer, what started as a seemingly innocent tweet resulted in the release of a cover song. Now that song has turned into an entire album of covers. Weezer dropped its surprise 13th album, “Weezer (The Teal Album),” overnight on Jan. 24. Nothing said Throwback Thursday more than covers of 10 classic hits spanning from the 1960s to ‘90s. Weezer started experimenting with covers last year when a fan made a Twitter page convincing the band to cover Toto’s “Africa.” Instead, Weezer covered a different Toto song, “Rosanna,” as a joking response to the widespread meme. With another album set to release in the spring, the “Teal Album” caught fans off guard following the chart-topping success of the “Africa” cover. The “Teal Album” also includes Weezer’s rendition of Ben E. King’s “Stand By Me,” Tears for Fears’ “Everybody Wants To Rule The World,” The Turtles’ “Happy Together” and more. The band took popular songs and gave each a classic Weezer alternative/pop-rock approach. Weezer didn’t go overboard in trying to make someone else’s songs its own and in this way paid tribute to the original artists. The cover of Black Sabbath’s “Paranoid,” sung by guitarist Brian Bell, plays just slightly faster than the original, giving it the sound of any good Weezer headbanger. In “Mr. Blue Sky,” orchestral touches were replaced with synth-rock riffs, but vocals maintained the sound of ELO’s classic hit. Rivers Cuomo’s voice continues to shine the same way it did when he started singing in the ‘90s, and this album really put his vocal range to the test. In songs such as “Take On Me” and “Billie Jean,” the 48-year-old vocalist hit impressive falsettos. Perhaps one of the most interesting songs on this album is the cover of TLC’s “No Scrubs.” Maybe it was a result of male vocals instead of female, but the overall tone of this song felt different from TLC’s version, and not in a bad way. While it stays faithful to TLCs original by not trying to reimagine the song entirely, each chord echoes Weezer’s alt-rock character. Rozonda Thomas, one third of TLC, also approved of this cover, commending Weezer’s efforts on Twitter. This might not be an album of 10 new songs but it’s light-hearted and, if anything, a fun way to tide fans over until the next album drops. No, it’s not the most creative thing Weezer has done, but that’s the point of a cover — too much creativity is, well, too much. 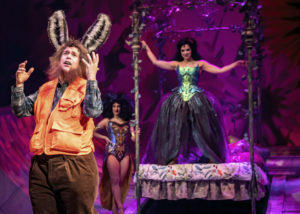 No song is changed to the point where listeners may be turned off by its execution but most will leave bopping their heads to the beat. Though the hype over a surprise album will probably die down, and “Teal Album” might not go down in history as the greatest cover album of all time, it’s full of crowd-pleasers. It’s worth listening to and could make for enjoyable new additions to road trip playlists. “Teal Album” precedes Weezer’s anticipated new “Black Album,” which is set to release March 1. Following the album’s release, Weezer will head on a North American and European tour. 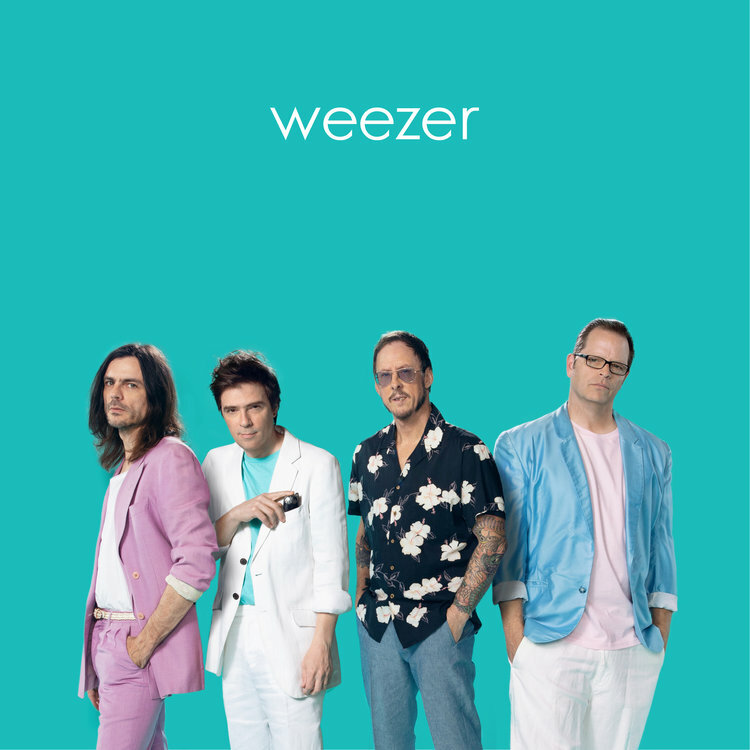 “Weezer (The Teal Album)” is available on all streaming platforms.